What Hollywood experienced in the last decade, the advertising industry is witnessing today. This happens as the business transforms from being pure storytelling based entertainment, to a more technology enabled engagement platform. Yes, native and programmatic advertising are our versions of the Gravity and Interstellar blockbusters today. The truth is, marketing as we knew it to be, has ceased to exist. So while, as creative agencies, we’ve conveniently ignored the science in marketing led by ‘Big Data’ rants for the longest time, we’ve not been able to wish it away. The recent acquisition of Sapient and a report titled “Publicis, the New Accenture?” by Natixis analysts Jerome Bodin and Pavel Govciyan clearly underscores the creative industry’s need to leapfrog, in a changing business landscape where media/digital agencies, tech companies and even media houses are remodeling themselves to compete in the consulting and digital integration era. So what’s our value proposition for a 24 x 7 consumer? How can we empower marketers in times of algorithms, native, programmatic and big data? How do we differentiate, yet stay relevant in times when media agencies lay their claims on not just big data, but big ideas too? Well the good news is while the rules of the game have changed, the game hasn’t. It is still about ‘Engaging, Entertaining and Exciting’. And the truth is be it native, programmatic or algorithms, everything needs stories and content. And just the way directors, scriptwriters and screenplay storytellers in Hollywood have adapted themselves in the past decade to embrace technology-enabled film creation, us creative agencies should quickly re-orient ourselves to re-script the rules of engagement both with marketers and their customers. It is time to go beyond thinking integration and garnering likes and views. It is time to actually to find and create our very own Kevin Spacey and house of cards. It is time to stretch 30 seconds of story into fluid live television programming or gamification that turns the engagement livewire. Yes stunts, gags, spoofs, spy cams and social experiments help an agency broaden its vocabulary, but what will really help is scouting and finding creative talent which is interested in real life creations and not guided by forms and formats. Creative brains the way we find them at corporations like IDEO or R/GA who believe in testing their limits beyond their comfort zones of creativity. Experts from different creative disciplines come together to co-create, and co-curate! Yes, this might sound like the making of another Hollywood plot: Creative Minds Vs. The Algorithms, but more and more that seems to be a plausible future ahead, where marketers question the real value and efficacy we all bring to the table. But irrespective of the advancement and science in marketing everybody will still need content, still need stories, still need engagement. The question is: are we creative agencies up for the engagement challenge? 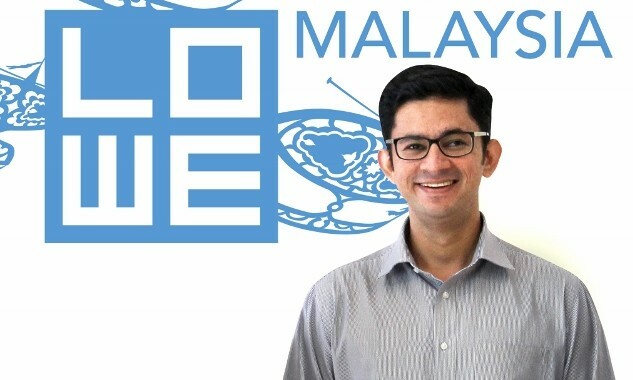 The writer is Sailesh Wadhwa, strategy planning director, Lowe Malaysia. Four agencies were vying for the account - GroupM Singapore, Havas Media Asia Pacific, IPG Mediabrands Singapore and OMD Singapore..